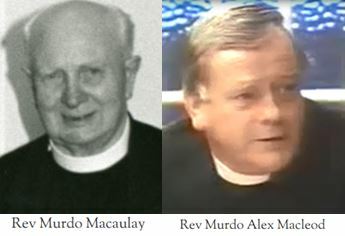 The informal discussion involves Rev Murdo Macaulay, author of Aspects, who had at that point retired from the ministry and Rev Murdo Alex Macleod, then minister of Stornoway Free Church, whom I have fond memories of from my youth. The recording was taken from an old tape and there is some interference, but it is well worth the listen. The recording is used with kind permission from the Macaulay and Macleod families.